GUWAHATI: Sitting MDC of Mawkhar-Pynthorumkhrah, James Ban Basaiawmoit believes his experience as a contestant for 25 years and knowledge of the constituency should see him through for a third consecutive term in the district council. 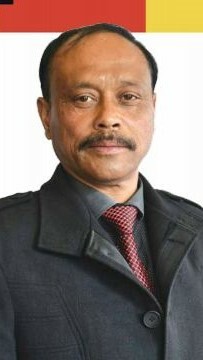 Basaiawmoit from People’s Democratic Front (PDF) is up against his former party colleague and former chief executive member of Khasi Hills Autonomous District Council, P.N Syiem and Rocky Hek, who is contesting the February 27 district council polls as an Independent. Speaking to The Shillong Times on Sunday, the veteran politician was optimistic on achieving a hat-trick after losing thrice by small margins since 1994 before eventually triumphing in 2009. “My three losses were by small margins though. But I still remained in the constituency. Now it’s been as many as 25 years as a contestant and people therefore trust my work. But why would they believe in someone who has changed constituencies and parties as and when it was convenient,” Basaiawmoit said, obliquely referring to Syiem, who had earlier contested from two other constituencies and joined National People’s Party recently. Pynthorumkhrah has been one of the most underdeveloped constituencies in the state, with shortage of a basic amenity like drinking water evident across localities, particularly in the slums. “However, when it comes to district councils development is directly related to central funding and schemes. The absence of direct funding has affected developmental work to an extent over the past five years and therefore I would prefer that Article 280 is amended so that the Centre can earmark special funds to the district councils,” he said. He however said protection of the rights of tribal communities and curbing influx are key issues in district councils. “This is an area where we have to work together as MDCs. Already, there is unrest in the region against a contentious legislation,” Basaiawmoit said.